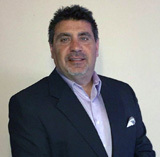 Mike Scrimo, the Northeast Regional Sales Director with PWSC, has over 20 years of experience in the building and home warranty industries. He has been a member of several boards and associations, helping builders manage their businesses, in addition to extensive work with insurance agencies in New Jersey and New York. After several years pursuing his passion for cooking, Mike decided to return to his other professional aspiration: sales and service in the insured warranty industry. Mike has three daughters, Arianna, Giovanna and Alexandra. In his free time he enjoys cooking gourmet meals and watching his girls play softball.